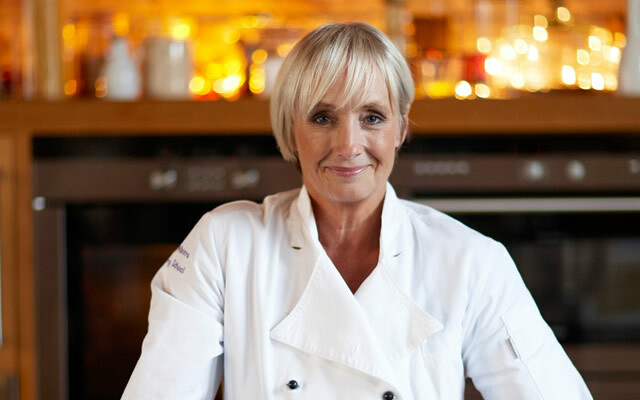 Charlton Horethorne is delighted to be welcoming TV chef Lesley Waters to the Village Hall on 16th May to demonstrate a wonderful selection of summer dishes. Lesley has kindly agreed to share her skills – and her food – as part of a fund-raising campaign being organised by the Charlton Horethorne Village Hall Committee. There will be coffee on arrival from 11am, and the demonstration starts at 11:30am and will last between and hour and an hour and a half. Samples of the recipes demonstrated will be passed around and there will be plenty of opportunity to ask questions! Exact dishes to be demonstrated will be decided by Lesley nearer the time, dependent on the fresh produce available. If you would like to bring a cake of your own making, Lesley will be the judge in “The Great Charlton Horethorne Bake-Off”! Over the last 10 years, the Committee has carried out extensive internal refurbishments to this much-loved village facility. Now the final task is to refurbish the exterior, including replacing the wall-cladding and the roof and fitting solar panels. Although the Committee has received a very generous grant from the Garfield Weston Foundation, funds still need to be raised to complete the work which is scheduled for later in 2019. Tickets, priced at £25, are now on sale for Lesley’s “Stress-Free Summer Entertaining” cookery demonstration and details can be found on this website, on the Charlton Horethorne website – www.charltonhorethorne.com – or by calling 01963 220249. This promises to be a fun occasion with the opportunity to pick up tips from one of the country’s leading chefs.